An often-overlooked part of a wardrobe is quality pants or slacks. A well tailored ensemble does not stop at the waist. William T. Clothiers specializes in providing custom pants to complete your wardrobe and help display your physique well, no matter what your proportions are. Certain fabrics are more comfortable depending on the weather. You need fabric that is more breathable to keep you cool in the hot weather, and fabric that will help keep you warm in the cold. We use our expertise in fabrics and menswear to select the perfect material for maximum comfort and style. 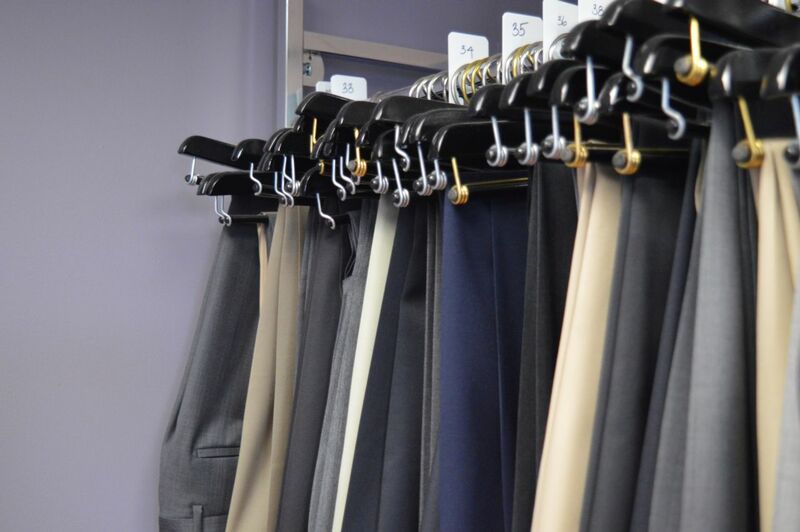 Get Custom Made Pants In Washington D.C.
Todd Baldwin, owner of William T. Clothiers, will come to you or have you stop by our office to go over the different options available for slacks. He will go over your personal taste and design, and help customize the perfect pants for you. To get started, give us a call at (703) 352-8852 to set up an appointment. We look forward to hearing from you and getting you into a pair of pants tailor-made for you.